Just Jingle: Loads of Fun! Hello, all! It's time for another ANYTHING GOES Simon Says Stamp Wednesday Challenge! This week, the design team is featuring Lawn Fawn products!!! YAY! Lawn Fawn or Lawn FUN?! Umm... when did laundry get this FUN?! For reals, though. I had so much fun making this little shaker card! 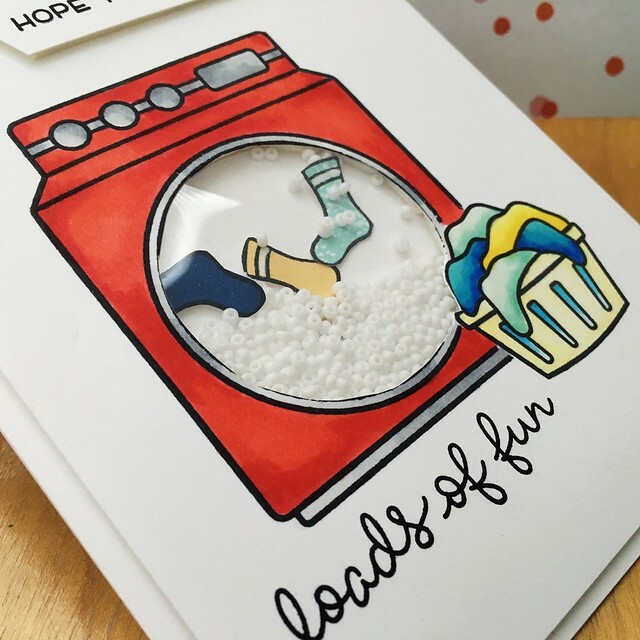 I used the stamps in the Loads of Fun stamp set both to set the scene and as little socks in my shaker! SO FUN!!!! I also added some marshmallow seed beads from Pretty Pink Posh to look sudsy. That's a fun word. Sudsy. For reals.... say it out loud. Now it's your turn! It's anything goes week, so you can create whatever you want! It just has to be new and you have to link it up over on the Simon Says Stamp Wednesday Challenge blog for your chance to win a $50 Gift Certificate to Simon Says Stamp! WOOT! WOOT! Come play along! We can't wait to see what you create! Just love your creativity!! The is really clever! Really cute shaker card! Love everything about it! Love the suds! What a great idea. This is so cute! I LOVE your suds! Too cute! 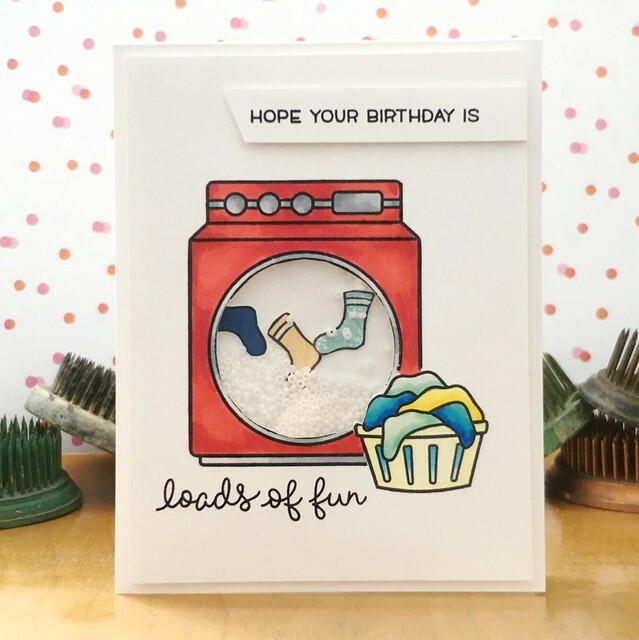 Laundry day was never so sweet! Oh, By Gosh, By Golly! CAS-ual Fridays Stamps Release DAY 3! CAS-ual Fridays Stamps Release Week Day 2! CAS-ual Fridays Stamps RELEASE WEEK!